The rise of the revenue team continues and mid-size organizations are leading the charge. When it comes to revenue responsibilities, the lines have become blurred between marketing and sales departments. Now, the rest of the organization is responsible for contributing to revenue as well. The response management process is a key revenue-generating initiative for growing companies. To succeed, all of these teams need to work effectively together. A response management platform is here to unify your revenue team and position your organization for growth. Responders at mid-size companies are team members who respond to business queries like RFPs (Request for Proposals), security questionnaires, and DDQs (Due Diligence Questionnaires). They both contribute and manage this process, often in addition to their primary job responsibilities. Knowledge is a powerful asset for any organization, especially a mid-size organization where you have a combination of specialists and generalists with a multitude of experiences and backgrounds. 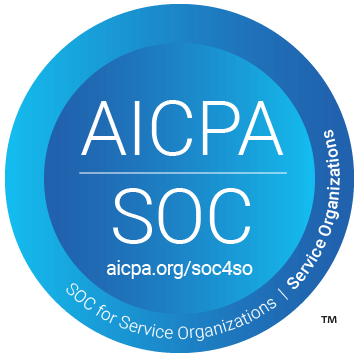 These resources are valuable and cost the organization. If a subject matter expert (SME) moves on from your organization, they take a wealth of company knowledge with them. This leaves your response team at a great disadvantage as they lose an important resource that contributed to the process. Once these internal roadblocks are recognized, they become opportunities for improvement. A response management solution like RFPIO offers a collaborative atmosphere, turning teams into tribes. Revenue teams operating under a CRO (Chief Revenue Officer) are becoming increasingly common within B2B organizations. Rapidly growing mid-size companies have set the standard for modern revenue teams. All other companies, from startups to enterprise, are playing by the rules set by revenue teams at mid-sized organizations. A revenue team involves anybody who is contributing to the revenue of the company. This seems like a broad definition, because it is. It doesn’t go as granular as negative revenue, even revenue, or positive revenue—it’s revenue in general. Revenue teams might include managers in customer success or accounts working side-by-side with executives like a CFO or CRO. In mid-size organizations, marketing teams and sales teams (including sales ops and sales enablement) are considered part of the revenue team as well. Similar to keeping a ship afloat in the sea, revenue takes contributions and effort from everyone. To bring in revenue and maintain revenue, it’s essentially an “all hands on deck” situation. Being that responding to RFPs and security questionnaires is a predictable step in the sales cycle, this process needs to be rock-solid for mid-size companies to achieve their revenue goals. Let’s reinforce the two challenge buckets for responders at mid-size companies for a second. You’re experiencing a lack of commitment, knowledge, an internal champion, and/or support outside the organization. On top of that, you’re dealing with the cost of services, resources, and/or operations. Other revenue teams have been in your shoes too. 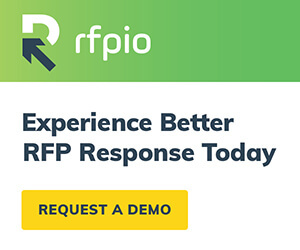 But, they saw those challenges in their response management process as opportunities and made that process easier with RFPIO. RFPIO’s answer library is the bread and butter for response teams. This knowledge repository brings uniformity and accuracy to how a company represents itself in any business query response. Teams across the organization will benefit from a centralized access point to company information. It goes beyond sales enablement, enabling anyone who needs to efficiently find up-to-date content to get the job done. The use cases are pretty endless. RFPIO Lookup takes the strength and capabilities of the answer library a step further. Rather than being inside the platform, you quickly search for the response with a Chrome extension. Let’s say you call in a field person to answer a security questionnaire, who doesn’t work inside the response management platform. They use RFPIO Lookup to access the knowledge repository from their browser to select accurate, technical responses. Instead of creating content from scratch or hunting down previous responses, now that person has extra time to edit and enhance the response. RFPIO’s integrations are well-loved by revenue teams. Store all of your content inside the response management platform, using cloud storage integrations with your favorite cloud storage solutions (Google Drive, One Drive, Dropbox, Box, and Sharepoint). Collaboration is necessary for any response management team—Slack and Microsoft Teams integrations simplify communication. Salespeople operate business as usual with RFPIO’s CRM integrations (Salesforce, Hubspot, Microsoft Dynamics, Pipedrive, PipelineDeals). If you’re a sales operations manager, you need to provide visibility into how you’re winning RFPs and DDQs to the C-level team from time to time. Within Salesforce, you can easily run these reports. When you have a group of responders working together to achieve the same revenue vision, not only is this less stressful, this positive mentality impacts the company’s overall success. Your revenue team will become more unified in achieving that vision with a response management platform. It’s a win-win for everyone. So…what are you waiting for? Book a demo of RFPIO to unify your revenue team. Crystal is a Senior Account Manager at RFPIO. She has over a decade of business development experience, predominantly in the software and services space. 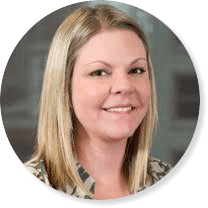 Crystal has had the opportunity to learn every facet of running a business and all of the nuances in-between. She enjoys working on complex business problems and turning them into executable solutions. Connect with Crystal on LinkedIn.